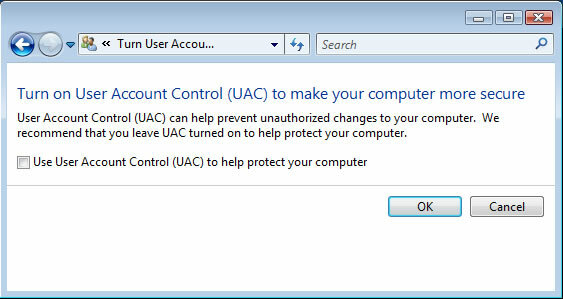 User Account Control (UAC) is a technology and security infrastructure introduced first with Microsoft's Windows Vista and Windows Server 2008 operating systems, with a more relaxed version also present in Windows 7 and Windows Server 2008 R2. It aims to improve the security of Microsoft Windows by limiting application software to standard user privileges until an administrator authorizes an increase or elevation. In this way, only applications trusted by the user may receive administrative privileges, and malware should be kept from compromising the operating system. In other words, a user account may have administrator privileges assigned to it, but applications that the user runs do not inherit those privileges unless they are approved beforehand or the user explicitly authorizes it. Now I have found it to be a problem many times when working with applications that work across the network or in general good programs. So I have put together a quick tutorial on how to disable it and shut it off. 1. 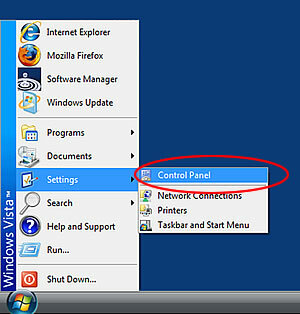 Click -> "Start" -> "Settings" -> "Control Panel"
2. 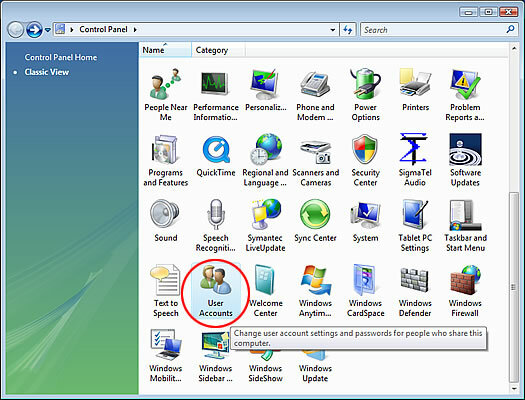 Scroll down and look for "User Accounts" and double-click on that icon. 3. 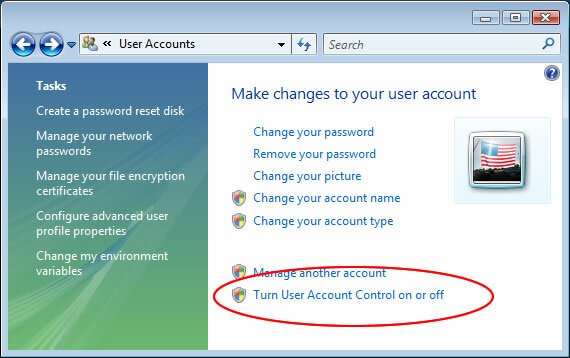 You will see an item label "Turn user account control On or Off"
4. Uncheck the box and click "OK" to commit the change. That is basically it, try running your program again and see if you have any problems with it.